It’s always in the back of your mind. In the same way that a driver must put danger to the back of his mind, you get on with your job adamant that it will never happen to you. There is an element of risk involved with everything in life. Sure, motorsport has a fair share of it, but we are all there with that knowledge, we all take calculated risks, we all have the odd close moment. How boring would life be with no element of risk? A photographer shooting trackside has some injuries after a GT car crashed into the barrier beside where he was stood at the Zandvoort Circuit in Holland. And an F1 cameraman working for Formula One TV was struck heavily by a stray wheel in the pitlane at the Nurburgring GP. Both guys are injured, but are stable and we hope will recover fully to do their jobs again. After 2 events such at this (preceded by a fairly dark couple of weeks in motorsport with the death of 2 drivers) there will obviously be a knee-jerk reaction. Everyone expects drivers to have the occasional brush with injury, but when members of the support crew, media and onlookers start to get injured the authorities suddenly sit up and listen! In my view we should change nothing immediately. The pitlane and track are dangerous areas to work, but they are highly restricted areas. The people that work in these areas are highly experienced and skilled. Of course that doesn’t mean that freak accidents such as Webber’s flying wheel, won’t happen again, but it is impossible to wrap motorsport in cotton wool. It is a fact of life (and physics) that if you have multiple vehicles trying to go as quick as they can in confined spaces, they are sometimes going to break, fly, collide or bust into flames! I have worked in pitlanes worldwide for the past 15 years and have seen a handful of incidents. It is going to happen! But I strongly believe that kitting camera operators and photographers out with overalls, helmets and safety equipment will actually make it a more dangerous area. Helmets restrict vision and hearing and overalls restrict movement, three fairly important senses when working in that environment I think you would agree? The F1 pitlane is restricted to about 6 F1 TV cameramen and about 6 F1 photographers during the race. The cameramen have free roam, but are in contact with their director and advised of where the action is happening. The photographers are restricted to the pitwall only and cannot enter the live pitlane. It is a hectic area, it is an area where you need your wits about you, but the limited crew working there are the best in the business at what they do. In complete contrast (and an example that seems to be dragged up every time pitlane safety is talked about) Le Mans takes a different view. All media working in the Le Mans pitlane have to wear mandatory overalls and helmet. 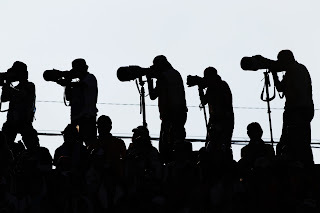 But, unlike the restricted F1 pitlane, Le Mans have over 100 people (photographers, journalists, cameramen, sound engineers, directors, producers, scrutineers, bloggers and pretty much anyone that wants to have a look....) at any one time within the pitlane. The criteria to get in is very relaxed with no requisite for experience or actual need to be there. Yes, we can make it safer, but start with the basics; Which is more dangerous? 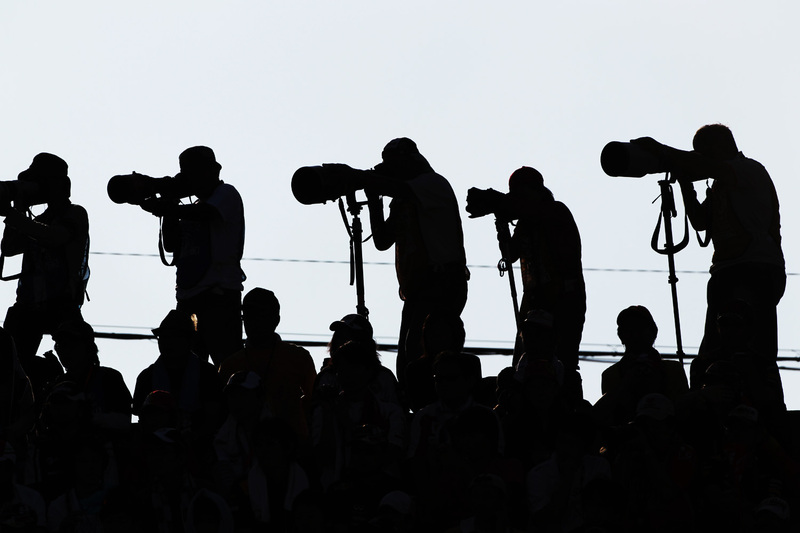 The F1 pitlane with 12 highly experienced cameramen providing imagery to a world audience? Or the Le Mans pitlane full of amateur photographers with a desire to snap a nice photo for their bedroom wall?